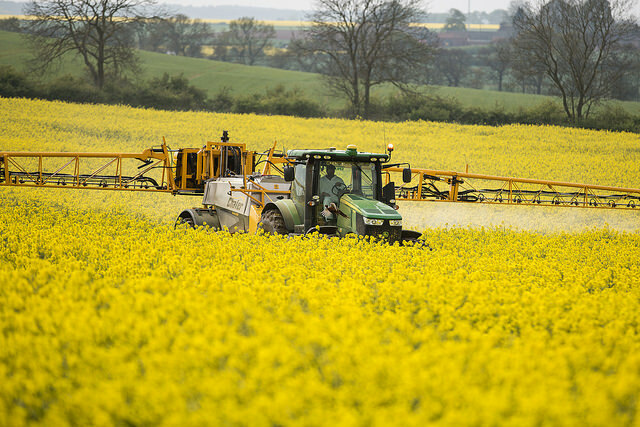 The debate on endocrine disruptors in the EU is more political than scientific. A decision to ignore the question of potency would cause needless disruption to regulators, industries and consumers, writes Christopher Borgert. Christopher J. Borgert PhD is president and principal scientist at Applied Pharmacology & Toxicology, Inc. in Gainesville, Florida. For nearly two decades, the European Union (EU) has been trying to navigate an incessant stream of allegations that common chemicals used in agriculture and consumer products interfere with hormones that compose the human endocrine system. These so-called “endocrine-disrupting chemicals” (EDCs) have been claimed to cause an array of disparate health problems such as birth defects, obesity and autism. A plan to identify EDCs and assess their impact on human health was scheduled for completion two years ago under the EU’s Plant Protection Products Regulation and Biocidal Products Regulation, but disagreements over the science have prolonged the decision-making process. Earlier this month, the German Federal Institute for Risk Assessment (BfR) issued a consensus statement intended to inform the European Commission’s decision regarding scientific criteria for EDC identification. It is worthwhile to consider why the scientific disagreements arose, how “scientific” the consensus might be, and most importantly, how the criteria for identifying EDCs could affect the health of Europeans and their financial markets. Disagreement is common to all areas of science and essential for scientific progress. But unlike other realms of human inquiry, science does not achieve consensus through discourse and persuasion, but by narrowing the range of interpretations consistent with an increasingly probative data set. When the data is inconsistent, as it is with EDCs, competing interpretations can become skewed by agendas that run counter to the pursuit of scientific truth. Financial and political security play a stronger role than most would like to admit. NGO watchdog groups ply for financial support and political standing by sounding public alarms over the issues they promote. Academic researchers drive funding toward their areas of interest by raising issues to regulatory agencies, politicians and the public. Regulatory agencies justify their existence and performance by responding to the concerns of politicians and the public. Corporations seek to limit regulatory compliance and litigation costs and to preserve product viability and marketability. In the debate over EDCs, especially in the EU, scientific and political disagreements have centred around definitions. In short, the broadest, least precise definitions of “EDCs” and “endocrine hazard’ favour the self-interests of EDC researchers, NGOs and some governmental agencies because a lack of specificity increases uncertainty and opens opportunities to raise new concerns that keep the EDC issue alive and ostensibly relevant in the public and political arenas. Narrower definitions favour the self-interests of industry and the economy because specificity limits the scope and increases the predictability of regulations; industry can adapt to nearly any regulatory environment, provided it is predictable. Despite their prevalence, personal attacks over bias and conflicts of interest neither disqualify nor validate either side of a scientific debate. Instead, such allegations should compel a dispassionate look past the narratives to examine the underlying facts. The facts are as follows. The BfR consensus regarding criteria for identifying EDCs was steered primarily by politics, not science; there is no new data to narrow the range of interpretations to a unified position. The consensus statement does not address scientific criteria at all, only definitions. That is to be expected, of course, because the EU’s “roadmap” for EDCs lays out four optional sets of “criteria” – all of which address different combinations of definitions. Neither contains a meaningful discussion of actual scientific criteria, such as which laboratory tests must be conducted or how data should be interpreted for identifying EDCs. The only specific scientific criterion often discussed in the consensus statement is the one it effectively dodged: potency. One side of the debate argues – and the other apparently acquiesced – that potency is too complex to include as a criterion. This argument is difficult to take seriously since potency is at the core of how the biological effects of chemicals are determined in the first place. Besides, potency is not all that complex. Potency is simply the strength of effect produced by a certain amount of a substance. Take acids, for example. Sulphuric acid is very strongly acidic and can burn the skin and mouth; in contrast, milk is very weakly acidic. Should milk be identified as an acidic hazard? How about coffee, tomato juice and vinegar, which are all more acidic than milk? Like labelling these common foods acidic hazards, the BfR consensus statement would allow chemicals to be labelled endocrine hazards in the EU, despite lacking sufficient potency to affect anyone’s endocrine system. By such standards, caffeine or cocoa would be endocrine hazards. That hardly seems consistent with the views of most Europeans, nor is it health-protective. If adopted by the European Commission, the BfR consensus statement will have several consequences. First, it will ensure continued debate about how to identify endocrine hazards and what science should be used to do so. This will please NGO activist groups who rely on continued controversy to raise funds. Second, it will help to ensure continued funding for the broadest imaginable scope of research on alleged EDCs. That will please researchers whose laboratories are heavily invested in this topic. Given the number of scientists with a vested self-interest in EDCs on the consensus panel, it is no surprise that the consensus statement includes an appeal for continued research funding. Third, it will create an unpredictable regulatory environment wherein manufacturers are left without any useful compass for steering products to the marketplace. Some regulatory agencies will welcome this because it places their authority at the helm. Other agencies may be less enamoured of such a political consensus in the EU. The United States Environmental Protection Agency, for example, invested two decades and hundreds of millions of dollars developing, validating and implementing a scientific screening program to identify potential EDCs that weighs whether a chemical’s endocrine potency poses an actual risk. The agency’s investment could be undermined by a European approach that ignores this central aspect of the science. If adopted, the BfR consensus statement will ensure that consumers, corporations and the marketplace are disrupted, but not in the ways forewarned by activist scientists and NGOs. Instead of protection from EDCs, consumers will be disrupted in their ability to choose among products, confused by phantom hazards identified as if they were real. The wide range of products currently available will be reduced, disrupted by irrational hazard labels, and consumers will pay more for the favour. Disrupted by regulatory standards that differ on opposite sides of the Atlantic, corporations will be unable to predict product marketability and will lose revenue. The EU’s tendency to elevate the politics of endocrine disruption over the science isn’t encouraging, but at this point, a political change of direction may be the only hope for a less disruptive solution. The disclosure of conflicts of interests has nothing to do with personal attacks. For a scientist, it is about meeting basic ethics standards applied today in scientific journals, national and international institutions and agencies. For example, in 2013 Christopher Borgert disclosed in an article that he had received financial support from BASF to undertake an analysis on the very same potency criteria he wrote about in this Euractiv Opinion (Borgert CJ, Baker SP, Matthews JC. Potency matters: Thresholds govern endocrine activity. Regul Toxicol Pharmacol. 2013 Oct;67(1):83-8. doi: 10.1016/j.yrtph.2013.06.007). It is absolutely fine to receive financial support from BASF, a corporation directly concerned by the EDC regulation, as long as the readers are clearly informed about this. Because Euractiv’s readers deserve the highest standards on ethics and transparency – everyone will agree on that – perhaps Dr Borgert could disclose, together with the name of his consultancy firm ‘Applied Pharmacology & Toxicology’, any additional interest that could be relevant for the readers to fully understand his perpective on this very serious issue. Stéphane Horel, journalist. I don’t follow your acid scenario. Acid is defined by it being below neutral (7) on the PH scale. So an acid can be classified as an acid without knowing how corrosive it is. How corrosive, is a measure of how dangerous it is. Surely the same can be said for EDC’s. First identify whether it’s a disruptor or not. Then look at potency to determine whether it should be banned or not. Surely this would be more accurate to trying to do things in a one step approach. We could be identifying EDC’s while we decide on potency. Nothing will be banned until potency has been addressed. But potency needs to be accessed at environmental levels and the impact of multiply EDC’s needs to be assessed. As people in the environment are possibly being effected by multiple EDC’s not just one singular chemical in isolation. This then makes potency quit complex and will vary from location to location. Is our sciences so basic that it has taken 30 years to just get this far? Do we have to reassess our sciences which we rely on to keep us safe? I for one is loosing confidence in our science. If such questions take so long to answer. The EU have done a costing on banning these chemicals. I wonder if they looked at the cost of lost intelligence in the population? Lost de Vinci’s, Michelangelo. Lost forever as they possibly would never been born as male fetus are aborted due to excessive oestrogen or born with diminished intelligence due to the effects of oestrogen like chemicals on the developing brain. That is the big question. We have made it this far because of our intelligence. As we slip closer and closer to war is it because our intelligence has been eroded? As humans we need to decide what is more important. The human race or $$$$$$$$$$$. Because this could turn out to be an extinction event in the happening. We need to evolve pass self greed. Thanks to Stephane Horel for having partially answered a question I have to C. Borgert. Because my guess was that nobody can try to defend such a point of view without having vested interest. Mr. Borgert, can you confirm that you do not have more interests at stake or, if any, disclose them?